It was just a matter of 13 hours. On December 1 night, a retired Lieutenant Colonel was taking a walk in his neighbourhood when he noticed the Adyar river rising. By next morning, the water had risen up to their terrace and he had drowned in his home. The last hours of retired Lt Col G Venkatesan, 72, and his wife Geetha were witnessed by their neighbours S Rajagopalan and S P Sanjay, who themselves struggled to survive the deluge in Chennai last week. Around 8 pm on December 1, Venkatesan — who stayed in a single-storey house in Ekkatuthangal — was out walking with his neighbour Brigadier Rajagopalan and wife. This was two weeks after heavy rain had wreaked havoc in the city, and dark clouds had returned, portending fresh showers. “Like every year, we saw people on the river bank being evacuated. We didn’t expect our street would get flooded,” Rajagopalan said. However, two hours later, Rajagopalan spotted water entering his car shed. “At 2 am, I woke up and saw the house was flooded up to knee-level,” he said. He and his wife went up to the terrace. In the opposite house, Venkatesan was still not worried. Sanjay, a businessman who lives next door, recalled that Venkatesan “was talking loudly on the phone around midnight”. Around 4.30 am, Sanjay woke up to see his ground floor submerged. “I ran up to the terrace and called Venkatesan. The water had reached halfway up his window.” Sanjay called the Army exchange and demanded immediate rescue of the couple. He was told that a team was on its way. “As the water level rose, Venkatesan stood up on the dining table. Then he placed a chair on it and climbed up. There was no staircase in his house. It could have saved them,” he said. By 9 am next day, the water had reached the terrace, claiming the couple. 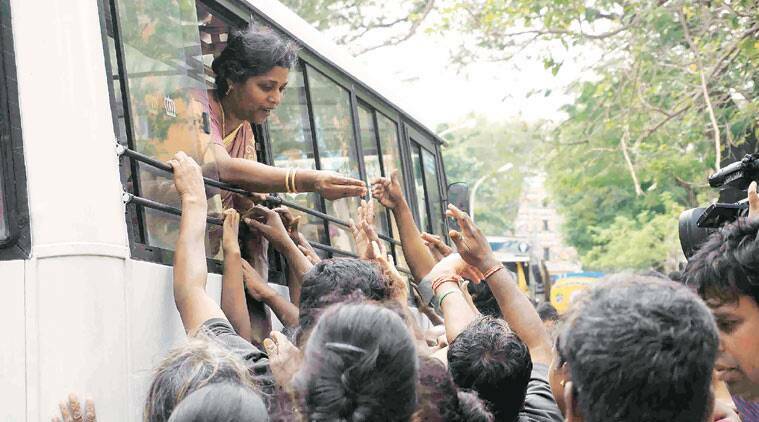 The families of Sanjay and Rajagopalan were rescued on December 3 morning. The bodies of Venkatesan and wife were taken out later in the day. “The state simply cut power and released water and saw people drown. What did they do in the days before the rain?,” Sanjay said. Rajagopalan said there was no flood warning when the government released 35,000 cusecs of water in the Adyar. “They should have increased the release of water scientifically instead of waiting for the last moment,” he said. Sanjay too said there was no flood warning. The local police, however, maintain that there were flood warnings, but many families chose to stay back. A senior official admitted that a systematic release of water in stages would have prevented the disaster. “Reservoirs were empty before Diwali. With the huge amount of water from two major rain in November, we should have released more water after the forecast of a heavier third spell of rain,” he said. A senior PWD official denied this. He said that the capacity of Adyar is 75,000 cusecs, and that the release on Tuesday night was moderated and reached 35,000 cusecs from 29,000 cusecs in nine hours.